We are happy to be involved with the “Nuance” party at Unit this Saturday. Coming from Sweden, SHXCXCHCXSH will be presenting their distinctive take on techno: harder edged but with an interesting experimental edge to it. They are a good fit for DJ Nobu, who will be taking a break from conquering the world to play a 4 hour set. And filling out the mainfloor will be DJ Yazi. Upstairs we are doing a Sound Garden chill out room in Unice. This is a really nice space, but normally doesn’t have great sound. That problem is being fixed by Pioneer and we’ll be playing on their new speakers. Our guest is Mystica Tribe, who will be doing his weirdo tripped out dub thing. And the rest of the night, David, Jelomu and myself will be taking care of providing the relaxation. Looking forward to this, it is the beginning of a pretty busy period of parties. I’ve got a new mix out as part of Smoke Machine’s UN series. 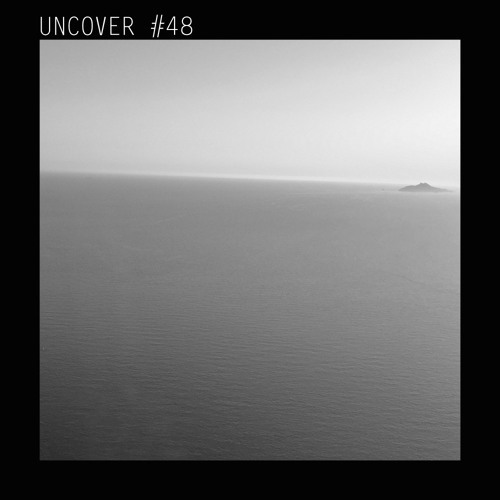 This is actually my first full ambient set online in more than a year, the last one being my Mysteries of the Deep mix from December 2014. The mix was recorded live at one of our Sound Garden parties in Tokyo late last year. Returning to our original home of Orbit has been important for me, and I think the sense of comfort I had being back there was an important condition in allowing this set to take shape. It subsequently became somewhat of a blueprint for my new year’s performance at Berghain. So if you are wondering what I did there, it was basically a 4 hour version of this. I’m also happy to have this mix with Smoke Machine, as I will be playing an ambient set at their Organik festival in Taiwan on 30 April. I’ve been wanting to visit them for a long time, and I am really excited to finally be going. This is a recording I have listened to a lot. I am really happy with it, I think it has a strong flow and structure to it. If you need to zone out or escape, I suggest giving it a try. I’m heading back to Melbourne in a few days for a bit of time back in Australia. And while I am there, I am very happy to be playing at ‘Subterranean Music’, organized by the Local Traffic Crew. It is geared towards ambient and downbeat sounds and it is taking place at the Wilde on Sunday 21 February. I’m really looking forward to sharing some sounds on home turf. So if you are free, come down and join us. Just a quick note to say that we are back at Dommune tonight for our first party of 2016. I’ll be opening for LA-4A, which is Ambivalent’s new project exploring “roots techno”. He recently put together an excellent mix for The Bunker podcast, so I am very interested to hear what he’ll do tonight. I’ll be playing the first slot from 9-10:30pm, then LA-4A will be on until midnight. Come down or tune if you are free, it should be good! Sorry, seems I am getting worse and worse with updating this blog. Twitter is definitely the best way to keep track of news and thoughts from me… Anyway, here are some various bits of news. The final MNML SSGS party at Air with Delta Funktionen and DJ Nobu was a big success. Thanks to everyone who came down and gave the club a great farewell. Thanks, as always, to Yuko and her staff for their help with putting the night together. Currently working on plans for some events this year, more info to follow. I was very happy to commence 2016 by participating in Berghain’s Silvester celebrations. I played a 4 hour ambient set in the Elektroakustischer Salon, a special space they opened for new years as a chill out room. Hats off to the Berghain crew, it worked brilliantly and great to see them trying to update the classic chill out concept. It was a pleasure to be able to play a proper ambient set in an environment where people could relax, sit down and listen to it. This was my first time playing in Berlin, and I was very happy with how people responded to my set. Back in Tokyo, our first Sound Garden chill out party for the year will be at Bar Orbit on Wednesday 3 February from 8pm. It is free, as always, and this time our guest is one of Japan’s leading artists, Iori. We’ve been wanting to have him play for a long time and now that he is based in Tokyo, it seemed like the right moment to invite him. And joining Iori will be the Sound Garden residents: David Dicembre, Jelomu and myself. For full details, check the Facebook or RA event pages. Also I am going to be back in Melbourne from 17 February – 14 March and open for gigs, so if anyone in Australia is interested in booking me, please feel free to get in touch. Wishing everyone a happy, healthy and productive 2016.